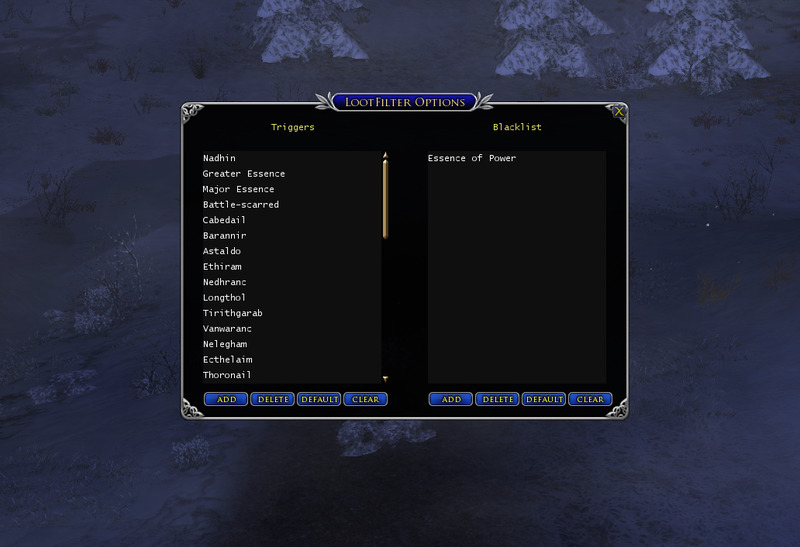 With LootFilter you can add keywords to a trigger list and every time you or one of your fellowship/raid members receives an item it searches for matches in the trigger list. If a match is found it will notice you via a pop-up window. Another possibility is blacklisting keywords. For example you have "Greater Essence" and "Major Essence" as a trigger but dont want to be notified if anyone gets a "... Essence of Power". 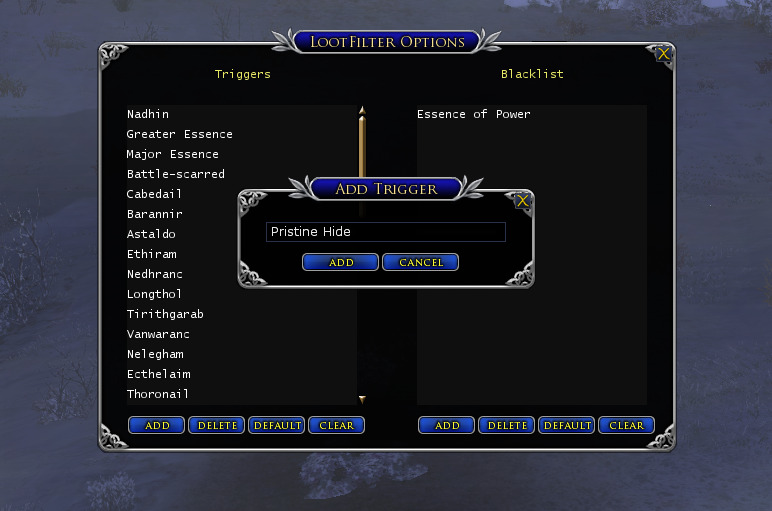 Using "/LootFilter options" you can open the options window to configure your triggers and blacklist. 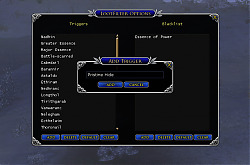 Select an item from either the trigger list or the blacklist and click the "delete" button underneath the respective list to delete the selected item. 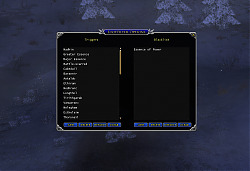 By pressing the "clear" button all the current keywords in the list above are deleted. This is my first plugin and also the first time using Lua. 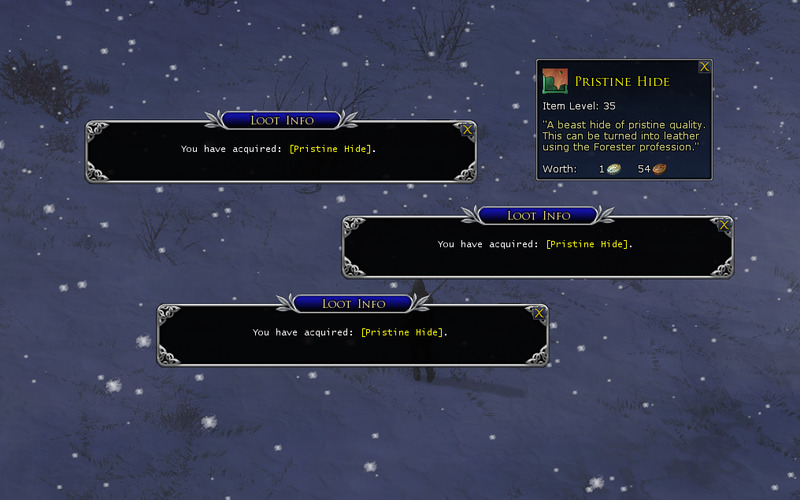 If you have any suggestions to improve the code/plugin or any bugs please let me know. Thanks for your comment and for sharing your ideas. 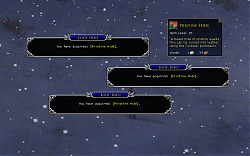 I'll definitely keep them in mind for my next update.